Whether you are an analyst or marketing manager, understanding how to properly segment analytics data can provide key insights into market behavior. With a broad array of data it can be difficult to discern patterns that lead to adjustments in strategy. Improvements in business performance based upon analytics data require an understanding of how to begin segmenting data – this guide provides an initial overview of best practices for segmentation of data in order to get the best possible results from your online presence. While the implementation and technology behind segmentation may be unique for each user, a broad concept of segmentation applies generally to nearly every type of firm. Broadly speaking, you can categorize analytics data into segments, based on user behavior, sources, and preferences. Delivering a custom solution for each segment of users can help you vastly improve your site’s reach and appeal to a wider variety of audiences. Making adjustments to site content, navigation or promotion based upon unique user segments can also contribute to the overall performance of your site. If you are only looking at the overall data from your site, then you are missing potential patterns that can emerge when you segment visitors based upon geographic areas as well as detailed analysis based upon behavioral patterns. 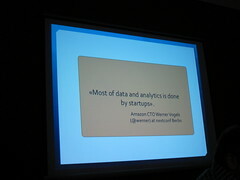 At a base level you need to define various segments (pivots) by which you can analyze different metrics of data. You need to define user segments as a sub-set of your full data based upon hypotheses about user behavior. Since the ultimate goals of segmentation is to make specific site and campaign updates to improve conversion rates (and the overall ROI) you must think very clearly about different segments within your data. Once you have defined these broad segments, you can determine the ideal way to report on the data. For example, if you believe that traffic from the Western United States tends to prefer a certain landing page offer and membership type, then you can segment your data for these users and start analyzing your base-level data to determine whether you should explore this idea further. Proper tagging and analysis is a core part of the analytics process from beginning to end. Once you have the right tagging strategy, you can begin analyzing user behavior to identify segments of your users who can benefit from specific optimization. Moving the conversion rate on a segment basis can provide a bridge to overall improvements in your campaigns. Most startups and web developers use open source technology to save on resources without realizing that analytical segmentation can open up even more opportunities to generate better performance from your campaigns. Start with a deep dive of your top-line data relative to your performance goals, and then determine which types of segments are ideal for multivariate testing. Properly understanding your visitors and serving them the right content can vastly improve conversion rates. Next post: What is Marketing Analytics?